Mrs Demo will not be pleased if there are steel creases in the clothes. Mrs Demo bought this drum for a great price, it was a steel. "I've cym ball the drums available and now, as per cousin Cedric's advice have made my choice." "Hi that drum there, I would like to buy it for my old git husband. He will be playing it at a farewell party for his sister before she goes to the West Indies." "No," retorted Mrs Demo, "She's going of her own accord." "How did you find us Mrs Demo?" "It was easy, I thought oil look you up on my tom-tom." "Why don't you gar min to the office while wrap the drum?" Better still, I'll put it in a box. We don't the drum to roll away when you put it down. 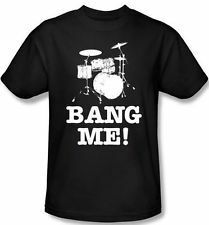 Don_1 wins this T-Shirt Award for Punning Excellence in the Drum Banging Dept.! As per cousin Cedric's advice I have made my choice." The consequence of playing drums often is re-percussions. If you pass out during a blood transfusion, you need rhesusitation. Then people send you a card(io) and flowers in a vase(cular). My chiropodist is foot loose & fancy free. Alas 'free' does not, however, describe his treatment. Does he play footnotes on a shoehorn? Or is that a load of old cobblers? How absurd! He expects you to foot the bill??? Not only that, he expects me to toe the line. I don't want to play ball with him any more, hee'l only let me down. No, no, its quite true, and very soleful he plays to boot. His music can be very toe nail. He does expect other players to keep in step with him. He will always play a piece by him toe cap off a gig. 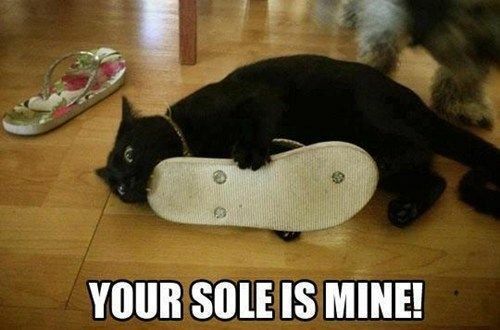 Yes, he is, without doubt, a very straight laced person. Eye let you add to the above puns as you see fit, just don't poke your tongue out at me. As for myself, I'm off for the Xmas holidays to restock my pun cupboard. Though there may be many a pun lurking in the dark corners, the fact is, they don't last forever. So I bid you a happy Xmas holiday and a puntificacious new year. May your God(s) be with you. Arch you putting a stocking up for Santa? I think Santa has riverfront property in Brazil. All my presents came from Amazon this year. We all kneel to your decision!